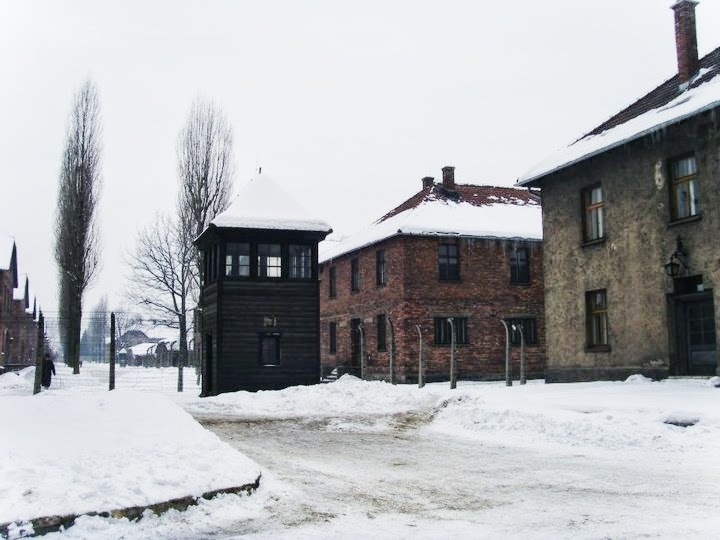 Nestled in the small town of Oświęcim, Poland, not to far from Krakow are the remains of Auschwitz-Birkenau Concentration Camp. Once a place that witnessed unspeakable persecution and unthinkable activity towards to a marginal group of people now stands a dedicated state museum, preserving the struggles of the prisoners from Adolf Hitler's reign of immorality. Why? 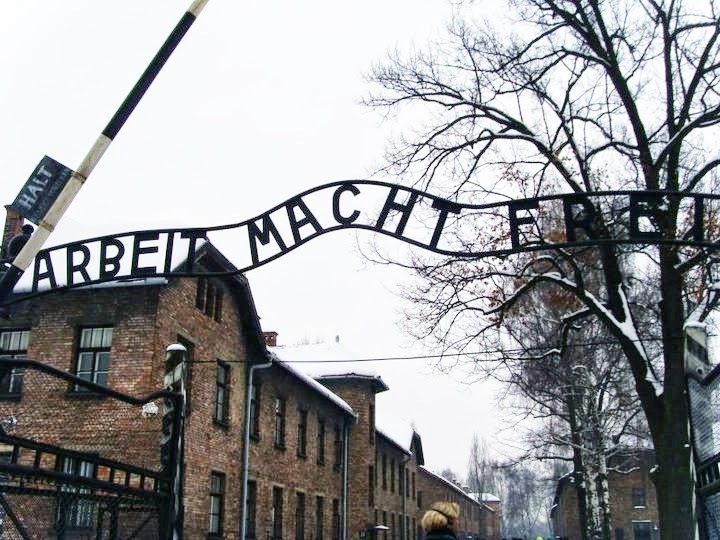 Walking through the main gates to be greeted with the camps infamous sign reading the words "Arbeit Macht Frei" which translates from German into English as "Work Sets You Free." I couldn't begin to think how sick and twisted that motto stood to be, let alone how the thousands of people were sent to this extermination camp. Human life is precious, we fight each day to preserve the right to be who we truly are so why did a group people decide to turn humanity on to its head? The freezing temperatures dropped below comprehension with each step that I made closer to the former Concentration Camp. I had a thirst to understand more about the reason behind the attempted extermination of the Jewish race, I wanted to capture a notion of the camps legacy to see if we've really progressed or is humanity still frozen? The extermination camps of yesterday have a close connection that I wanted to confirm. As the visit progressed it was strange to think that this environment plays a integral part in educating the visitors to the camp. I for one learnt a lot from this trip, so much more than in my history lessons at school. Each building faced me with a display board that outlined the purpose of the building, informing the visitor for what they are to see inside. One thing I found astonishing was that the presence of barbed wired made me feel quite restricted, proving to be an unimaginable task to visualise the feeling of being confined into a restricted space. Were we tourists? I'm not going to answer that because its not relevant. Each building told a story, some of tragedy and pain because non of the prisoners should have been murdered for their faith or sexual orientation. I'm Gay and I can't begin to imagine being sent to such a place for a part of my life that doesn't cause the next person pain. Lest us remember those strong people that fought to survive the regime! True heroes! Photography was strictly prohibited within the buildings, In my opinion it was only right to respect the situation. The displays ranged from the collection of belongings which were acquired from the prisoners that covered all kinds of personal items. All of which would have been used to the advantage of the occupying force. The magnitude of personal belongings that were taken didn't leave much to the imagination. Looking at the displays with a basic sense of thinking it was mind-blowing to see what had been salvaged for the purpose of the museum, in a way it gave a sense of awareness and educated the viewer to think about the life we live. Pictures and stories of important figures that spent their time as prisoners at the camp made you think that nobody was spared from the being sent to the camps not matter their wealth or notability. The harsh reality was that this happened during the 1940's! Through the different exhibits I saw the building that held the hospital wing that played an immense part in the barbaric acts that the Nazi's subjected the prisoners. Dr. Josef Mengele performed unspeakable medical tests and experiments to see what effects would be found for his supposed studies, no more should be mentioned. Women, men and children were transported for their ghettos in cattle wagons along a never-ending rail network that eventually took them to the many Concentration Camps including Auschwitz. Most commonly the Jewish prisoners were separated between the genders, tearing families apart to a very uncertain fate of starvation and abuse. I saw inside the incinerators that would burn the deceased prisoners of war. The narrow space of the once burning furnaces translated how emaciated the prisoner would of been at the time of their death. I was left speechless and horrified by what I witnessed that morning, I won't ever forget! The second site of the wider Auschwitz-Birkenau area truly put the whole trip into some-kind of sobering feeling, people visit places that stand for good things and in this case some places that have a darker past still appeal. As the cold winds bit our faces we could not simply imagine being in a position where would have to function on a daily basis, not knowing what event would occur next. 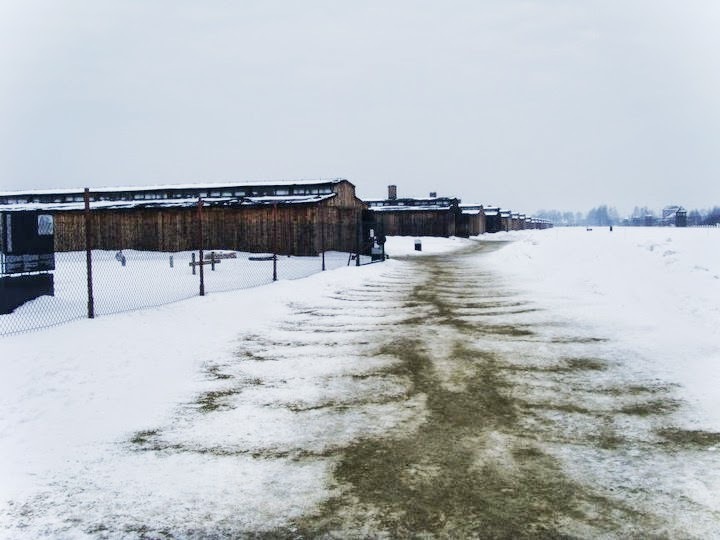 History's a very strange thing but I believe the preservation of places such as the former Auschwitz-Birkenau Concentration Camp educates and informs people of what took place. From the infamous brick buildings of Auschwitz's main camp I wasn't prepared for the baron landscape that faced me at Birkenau, the train tracks still remained when I visited the second camp My guide stressed that not much had changed since the liberation yet some barracks had been restored to create the image of yesterday. No! Birkenau had a different feel for it was so much more isolated from even the smallest village, its a place I would certainly urge to visit for its wise to have been faced with the counts of murder that went on at these camps. We all have dislikes in life and we can exercise negative attitudes towards specific groups within our society, but to orchestrate a mass cull of people who were Jewish, Homosexual and who didn't fit the bill within Hitlers ideal of the Nazi empire, its unforgivable! I know a distant connection from the paternal side of family suffered at the hands of the 'final solution' so my Auschwitz experience will stay with me forever, no matter of time will ever erase the scenes of starvation, death and brutality because it was unsettling. It's a sobering place to revelation why that moment in time ever happened in the first place! Make your journey to Oświęcim, Poland to see how one race suffered at the hands of the Nazi's. The Holocaust should never of been! Remembered, Respected and Revered ... Never Forgotten!